Since the whale watching season had just started, our client wanted to get as many bookings as possible through his website. However, we first needed to dramatically increase his online visibility to drive more bookings and we had to do all of this within a budget of AU$3000 per month. Gain leads via phone calls to the company. Increase sales via bookings through the website. 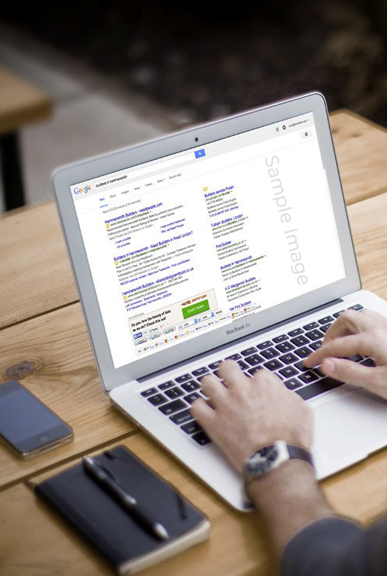 Increase online visibility and brand awareness via Google Ads. The first month was all about setting up the new campaign for 2018 and testing the waters to discover how we could help the client reach their marketing goals. We started by doing a quick audit of what our client already had running in his Adwords Account. We looked at the keywords and account set-up from the previous year’s campaigns, then added in keywords from our own research and data from competitor research. This helped us map out the right strategies to deliver highly converting Adwords campaigns. We then looked at the website and decided to target the homepage for more general whale watching related queries and the bookings page for more specific ‘ready to buy’ search queries. Within the first 2 weeks we were able to start optimising the campaign based on search queries, ads, budget, location and time of day amongst other factors. We decided to use Search only campaigns for this client. To help our client get as many bookings as possible within such a tight time-frame, we decided to focus mainly on search only campaigns as it allowed us to quickly determine highly converting keywords for his business. As mentioned before, since we first had to build brand awareness, we chose broad match and broad match modified keywords to catch as much whale watching related traffic as possible. We included as many negative keywords as we could find to curb the number of irrelevant searches. The ads were based on their previous campaign, competitors and tested over time to discover what performed best. Key performance indicators for ads were: The click through rate, the conversion rate, cost per conversion and conversion rate. We would take the two best performing ads within an ad group which we would then combine to test as a new ad copy. When we found profitable keywords that converted and led to sales or phone calls to the business we made these keywords exact match as to increase the impression share for that specific keyword, improve the quality score and decrease the cost per click. The keywords that were performing exceptionally well and removed them from the more general ad groups and placed them in single keyword ad groups to help improve the overall performance of these keywords. When we received enough conversions we tested switching from manual bidding to maximise tconversions as to let Google help increase the number of conversions. Machine learning doesn’t always perform better, but with the help of rules, it can free up your time to work on other campaigns. In the second full month the campaign delivered 544 trackable conversions. This was made up of 504 bookings through the website and 39 phone calls direct from the Google Ad (this doesn’t count calls made from the website as phone call tracking is not set up). Looking at bookings through the website, which all ended up in a sale, we can work out a minimum ROI for the campaign without assigning value to the calls. Knowing that the lowest ticket value is $35, and that the average booking is for at least 2 tickets (2 x $35), we can work out the ROI to be at least 1,100%. Or, for every dollar spent on Google Ads they received $12 back in sales. Don’t forget, this doesn’t include the phone calls made to the business which lead to sales as well. What contributed to the overall success? It was a fairly easy to sell service. An easy to use website with good call to actions, clear navigation and easy methods for converting website visitors. Starting the campaign 2 weeks before the season opened, gave the campaign momentum and data we could use. Using relatively specific keywords and focussing on one service within the one campaign, targeting people lower in the buying funnel. No-nonsense ad texts that shows features and benefits to searchers and show exactly what they can expect. We can either rebuild your current campaign, or create a new campaign and provide ongoing optimisation and campaign management services. A fully optimised and well managed Google Ads campaign should be delivering you a decent ROI each and every month!